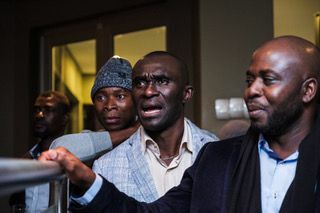 DStv Compact took "Kumnand' ekhaya" to new heights at a private viewing of the Nigeria vs Argentina World Cup match and gave guests a taste of Africa's renowned hospitality at Asanka Restaurant. 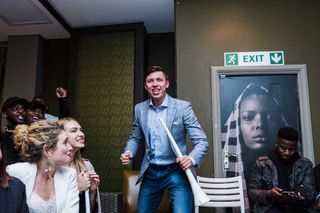 Russians fans found by Minnie Dlamini to experience the World Cup in South Africa were VIP guests at the Ghanaian afro-fusion restaurant in Rivonia, to watch the game of the night and meet fellow Africans from across the continent. The guests were treated to cuisine inspired by the African flavours inherent to Nigeria, Ghana and Senegal - the menu which included eats such as kelewele, red red with Jollof rice, as well as a hearty Okra stew were served to guests. 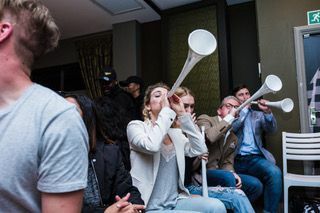 In support of the Super Eagles, Slava, now known affectionately as "Sbu", picked up the vuvuzela, a South African symbol of the beautiful game, and captivated everyone as he blew into the horn. 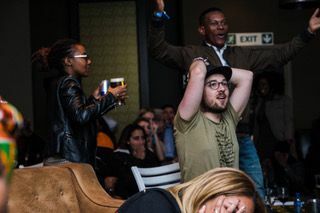 As an avid soccer fan, Slava reminded all in attendance of the exhilarating feeling of the 2010 World Cup in South Africa. 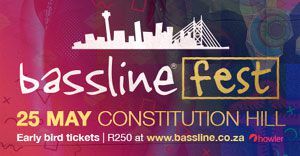 In attendance at Asanka on the night were personalities Maps Maponyane, Stoan Seate, SAMA Award-winning female rapper Rouge, Ms Cosmo and the likes of actors Matli Mohapeloa and Eric Macheru. 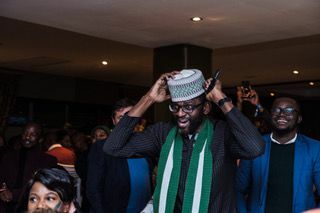 High-profiled guests also included Candice Thurston, owner of Candi and Co, sports editor of Independent Media Jermaine Craig and other influential personalities such as Microwave Boyz filled the room with the vibrance of African fan spirit - to rally behind the Super Eagles on the night. The dress code of the night was nothing short of greatness, which found Dmitry and Slava dapperly dressed by Turkish menswear brand D’S Damat - a new store now available at Menlyn Park, Pretoria. Pogosov describes his experience thus far as “it feels as if the World Cup is back in South Africa. Our friends and family are so focused on what we’re doing here and not what it happening in Russia, which gives it that exact feeling.” #NomaRashiya’s experience away from home tells of the African proverb - "Milk and honey have different colours, but they share the same house peacefully." There’s unity in diversity, and there is strength in being a community of oneness. Veronika and Slava can describe the essence of their stay over the past few weeks as “exciting” and “never-seen-before”. These guests also describe the golden sunrise in the morning as majestic, whilst the people they’ve met are characterised as warm, friendly and kind. Before the start of the World Cup in Russia, Minnie Dlamini went to Russia on a location shoot for a sports show she will be presenting on Supersport called From Russia With Love and planned to bring these Russian fans to SA to experience the World Cup in a unique way, as exhibited at the 2010 spectacle that was hosted in SA. 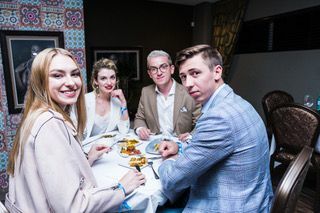 The four Russian fans namely, Veronica Fofanova, Dmitry Pogosov, Vyacheslav Morozov and Tatiana Beloshaphika, have been treated to a full Mzansi experience, which started with Somizi offering to host them in a beautiful guest house in Sandton, with the support of DStv Compact to accomplish a successful afrocentric story of welcoming the people of the world to our magnificent country. 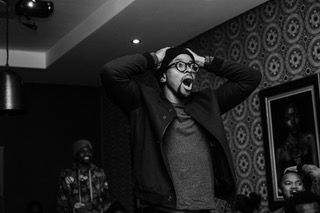 Not only have the fans been hosted by Somizi, but the likes of Nomzamo Mbatha, Kwesta and other celebrity friends have adopted #NomaRashiya during their stay to introduce them to local music, anthems, dance moves such as iVosho and the history. Their spirited enthusiasm to learn more about African culture is evident, and picking up African dialects such as seTswana and colloquial terms such as “siyabangena”. 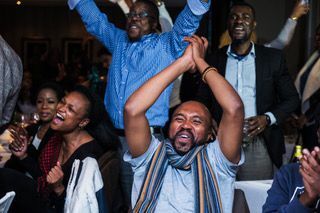 This, essentially, is what it means to be proudly South African and DStv’s authentic narrative and key messaging to #ConnectWithGreatness. Despite the losses of Nigeria and Senegal in the World Cup, they will continue to rally behind the remaining teams in the best way African fans know how - through high spirits, song and praise. Viewers can catch all 64 games live and in HD on SuperSport, available on DStv and on the move with DStv Now.